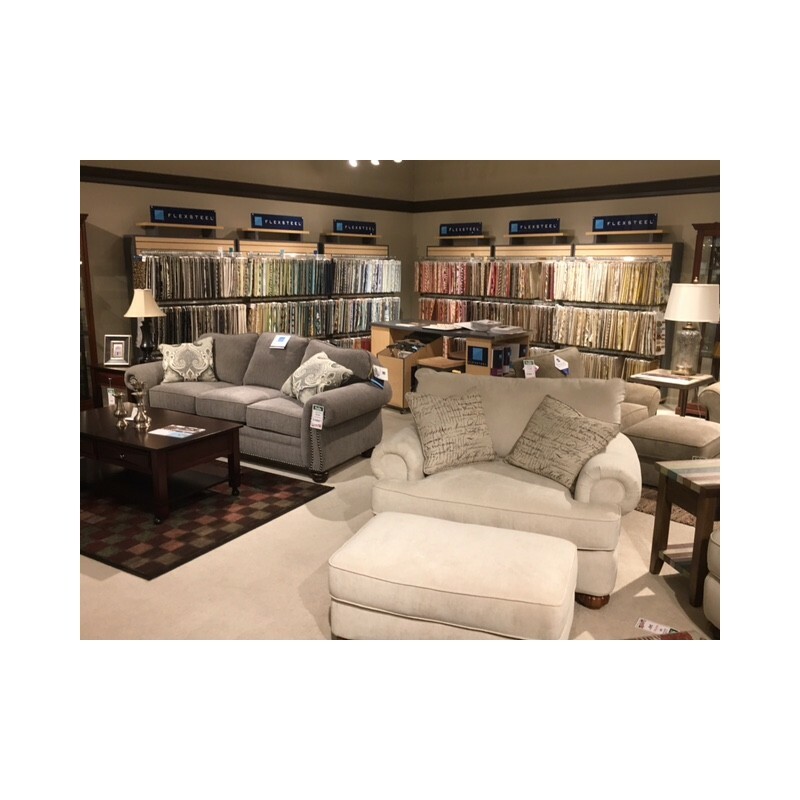 Patterson features a traditional design with inviting rolled arms and a padded front rail. Decorative bun legs complete this style's traditional, welcoming appeal. This chair (7321-10) comes standard with a reversible plush cushion, but feather and extra-firm luxury cushions are also available. 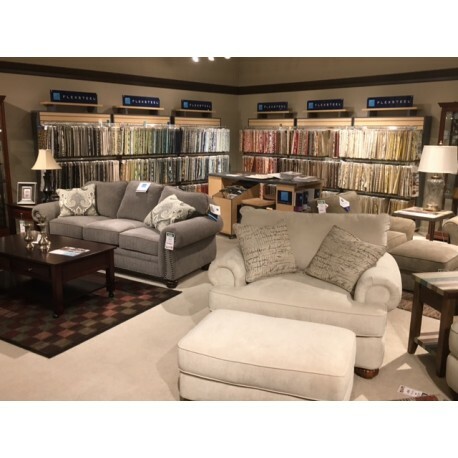 The Patterson chair also comes standard with Flexsteel's exclusive, lifetime-guaranteed blue steel seat spring and two square throw pillows with welt trim. 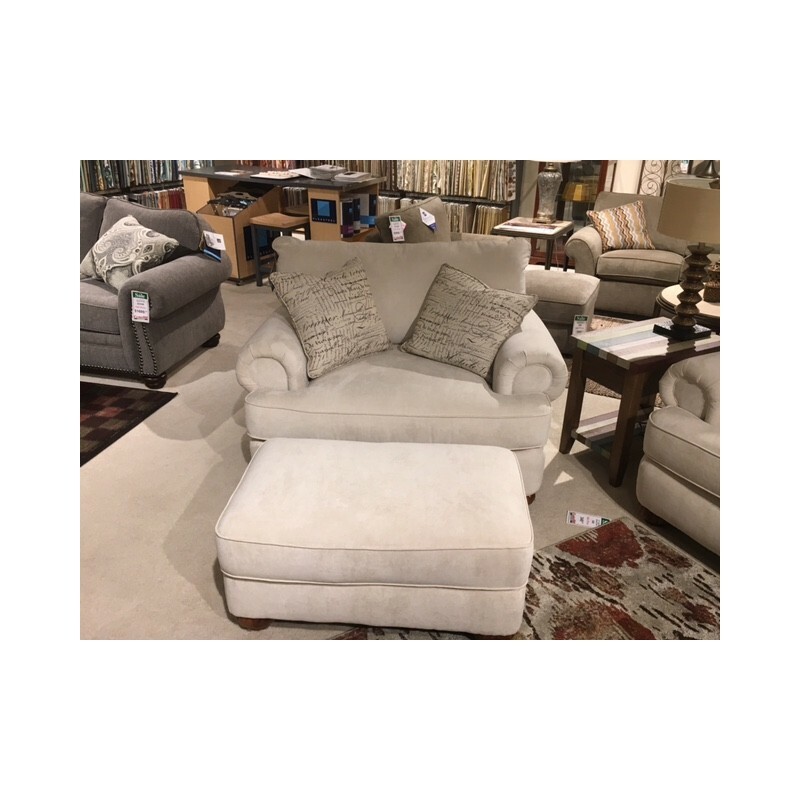 The ottoman (7321-08) comes standard with a luxury cushion, and its dimensions are 19"H x 37"W x 23"D.
The chair and ottoman legs come standard in the Valencia wood finish, but custom finishes are available. Further customize these styles with your choice of fabrics.